Discussion in 'Effects, Pedals, Strings & Things' started by rosslevans, Apr 30, 2016. Man. Great fuzz. Built like an absolute tank. If you're in the market for a new fuzz, I suggest taking a look at one of these. Fuzz Face silicon sound without the big footprint. Seriously, give one of these boys a go. morgan918, jimmycupo and wannabeatle like this. +1 Buffer switch helps after a wah or just for a different brighter tone. Jeorge Tripps designed I think. My favorite ovd tone is a slighty hot amp with this full tilt and backing off guitar volume, it sounds so freaking good, i still think its tripps/mxr/dunlops best sounding fuzz, by far. How does the Classic 108 compare to the Dunlop mini Fuzz Face pedals? Both have BC-108? Besides the buffer switch and enclosure, what's the difference? http://www.premierguitar.com/articles/Jeorge_Tripps_The_Mind_Behind_Way_Huge Jeorge speaks about Way Huge and his involvement with Dunlop. 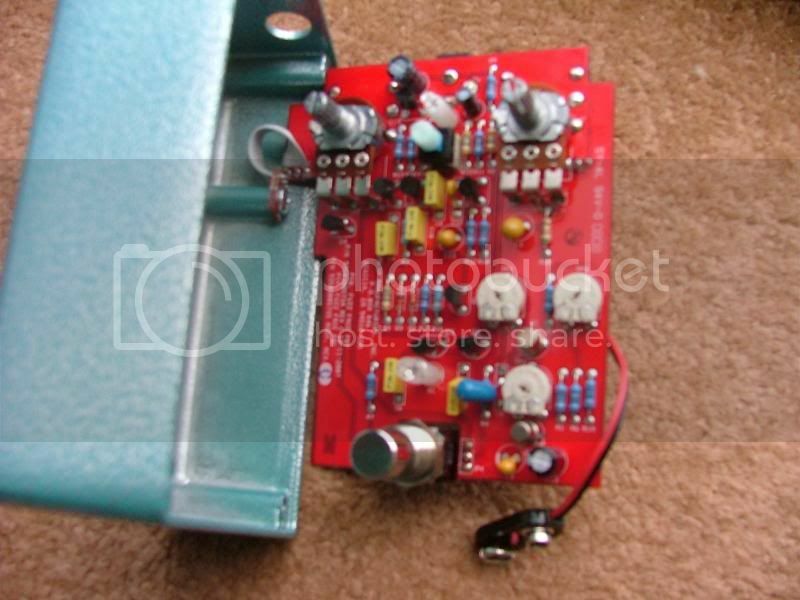 I haven't really got inside the Classic 108 to look at the board and components but from what I've read, it seems to be a take on what a classic BC-108 fuzz sounded like i.e. Jimi's silicon fuzz he used. You can't go wrong with this as your fuzz if you're into the silicon sound. Boutiques are a whole other (awesome) beast. wannabeatle and oaeoeao like this. I've had a few silicon fuzz faces, including the wonderful FoxRox Hot Silicon which I sold for some unknown, likely stupid reason. However, I have long considered adding the Classic 108 or Mini Fuzz Face if one came along used. I currently use a ZVex Mastotron to cover silicon fuzz territory and am not altogether unpleased with the Mastotron as it has wide tonal variety, cleans up great, and nails early 70s fuzz tone, think Who Live at Leeds. But kudos to the Classic 108 fans out there. Keep it classy. Picked mine up on Ebay for $58 shipped pretty much new in box. Keeep an eye out for em... good deals to be had. My favourite fuzz. Enjoy yours! Built like an absolute tank. Are those pots attached to a printed circuit board? Hmm. 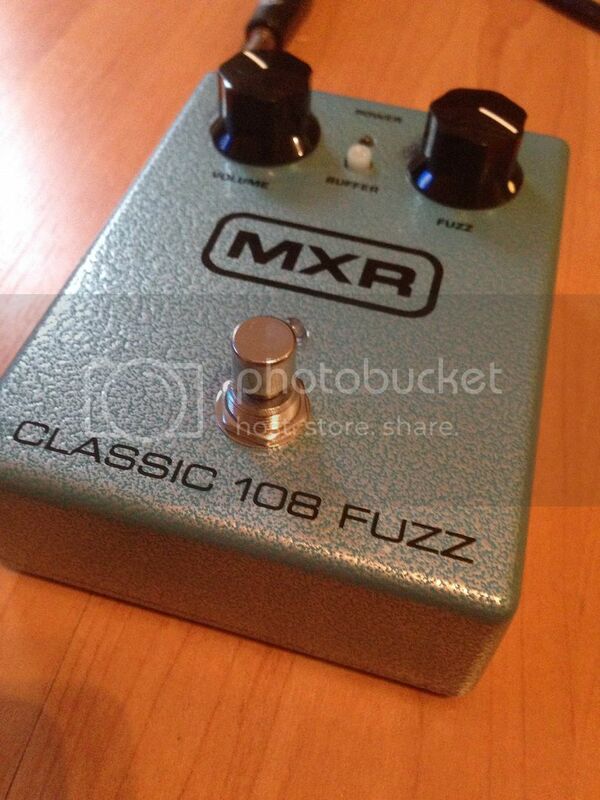 I'm on the hunt for a reasonably priced MXR classic fuzz. As I understand it, the classic has a little less hair to the gain than the new mini. That said the mini does not have a buffer, so it doesn't play well with wahs, and totally disturbs any semblance of having a neat and orderly board, being round with i/o at 10/2 respectively.....thats why I got rid of mine. Yes, just as they are on most pedals. People seem to think this is a big problem when it's really not. The pots are attached to the case with a washer and nut on the outside and a locking washer and nut on the inside. They're not going anywhere. Also, a more accurate way to think about it is that the board is attached to the pots.